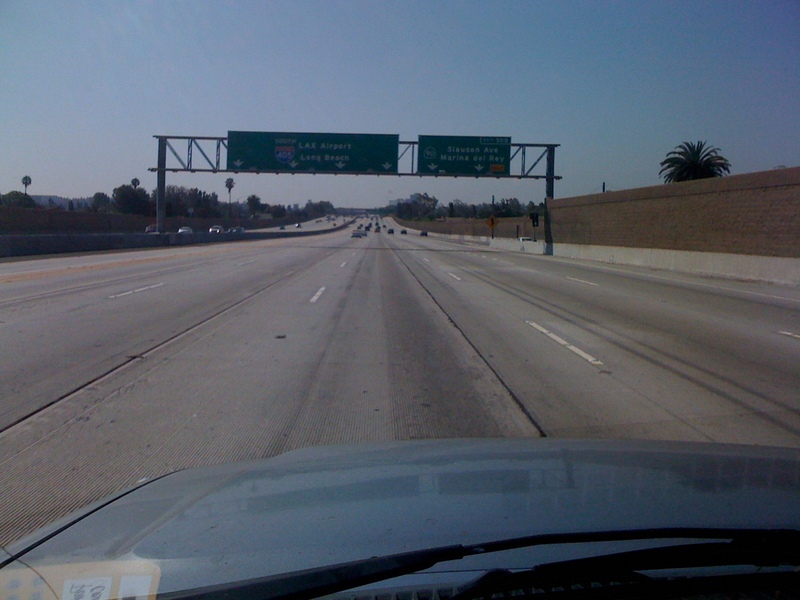 Today was supposed to be day two of Carmageddon, the weekend when the 405 closed from the 10 to the 101 for construction. Traffic was supposed to be ridiculous, but it was… not. I did my second freelance job in Palos Verdes today, so I was worried that I’d have to bike 15 miles down there and be all tired and gross when it came time to teach the class. It sounds like I’m going to book another one, too. I’m not making huge money, but getting paid five-to-ten times more per hour than I usually do is pretty sweet. 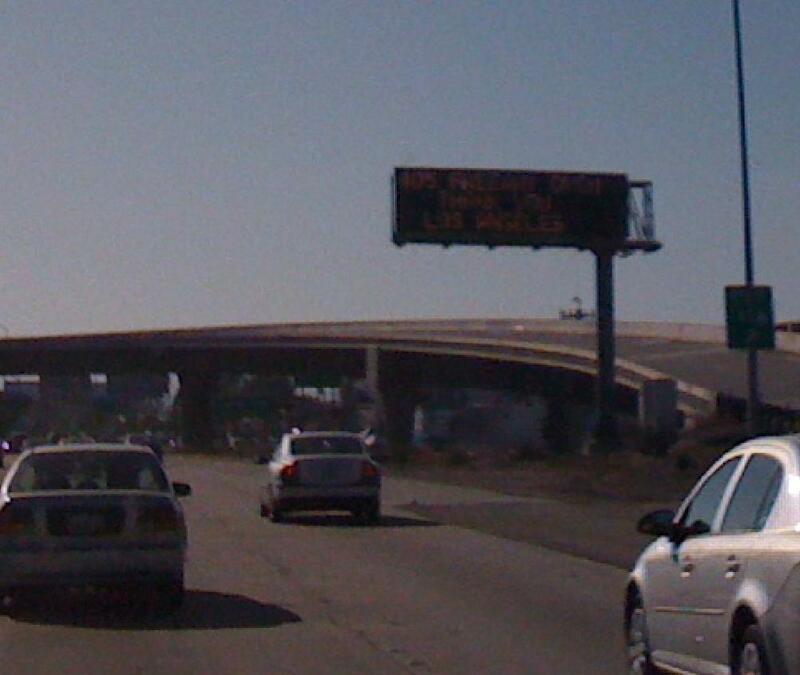 "405 FREEWAY OPEN / THANK YOU LOS ANGELES"